We’re turning 50!! #50yearsofstaugs – Don’t forget, you are invited to our working party meet ups! 50 Years! A Huge Milestone! 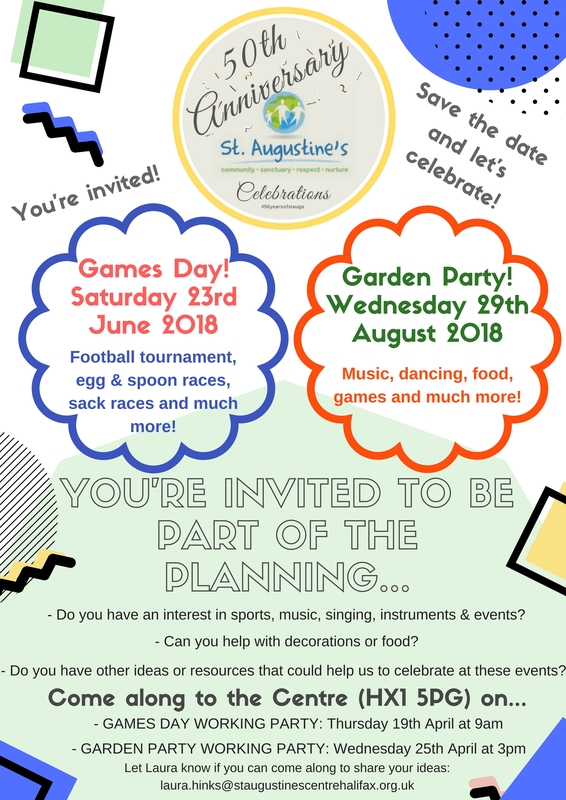 We are busy gearing up for a Summer of festivities, excitement & celebration and we warmly invite you to be involved in the fun & entertainment! There are various elements over the course of the year which will acknowledge our anniversary, amongst which, a Games Day and a Garden Party! Don’t miss out – we would love to have you involved in the celebrations! By Laura Hinks|2018-04-06T13:19:57+01:0016th April, 2018|News|Comments Off on We’re turning 50!! #50yearsofstaugs – Don’t forget, you are invited to our working party meet ups!